I am not one of those jewelry making people. I usually don't like to commit my crafting time to one thing and don't want to spend the money on all the supplies. BUT. I have a whole box of vintage buttons I got at a yard sale several years ago and was trying to find a way to use some of them. I came across this idea from kittycatsandairplanes.blogspot.com. She showed how easy it was to make this bracelet. So I decided to try my hand at it for a few holiday gifts. 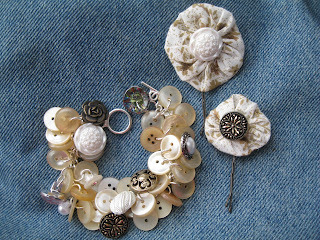 I think I will rummage around some thrift stores for some vintage charms to add in here and there to dress it up a bit more, but I do like it as is. Cut chain to desired length. Open a jump ring and use it to attach clasp to one end. Use needle nose pliers to close jump ring. Add a jump ring to other end of chain. Slide one end of the open jump ring through the first link of the bracelet and close jump ring. You now have your first one done! I added a button to every single link, making sure to do the next one on the opposite side. This will help make the bracelet look fuller and avoid spots looking more sparse then others. 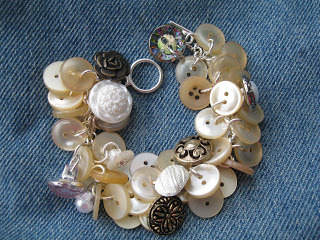 Continue filling bracelet. 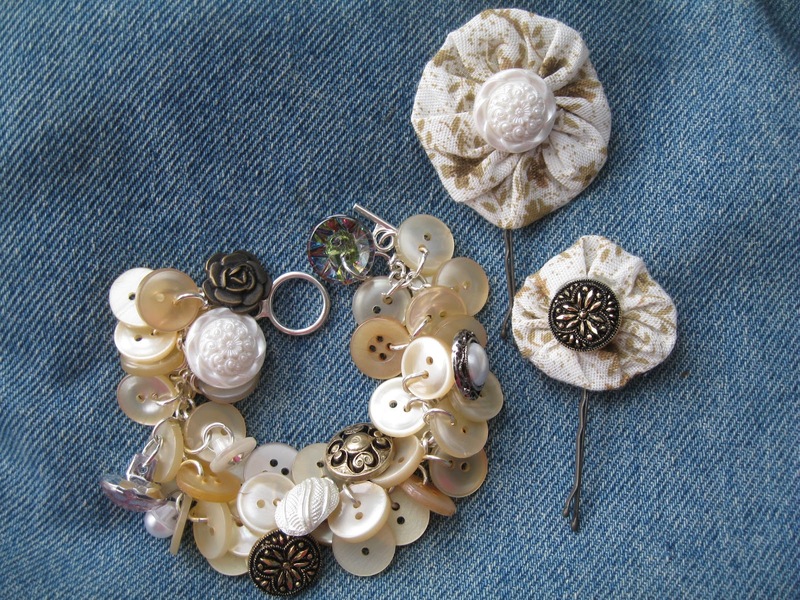 Any kind of button will do, including the ones with the shank on the back of the button. You could also mix in little charms if you wanted.